Lambert is now the proud owner of 31 ACM trophies. Congrats Jack Ingram and Miranda Lambert for taking home ACM’s Song of the Year for Tin Man 👏🏼 well-deserved!! Y'all check it out! Reid Umstattd is #2 on iTunes rock chart. You should buy this single! "Let Him Fly" Reid Umstattd!! Badass..
Science says you should party hard. Who caught the Tameca set during SXSW? 👑 Always a pleasure to have her at the studio. Flashing back to some highlights from SXSW with Peter More. What were some of your favorite performances? Alright folks - it’s that time! SXSW is here and we are heading back to the one & only @arlynstudios. . . We are giving away two tickets to join in on a night at the most historic recording studio in town. You surely do not want to miss out on this. . . Comment below and tag a friend - the contest will last three days so check back tomorrow to increase your chances of winning. Clear your calendars this Saturday night & get ready to kick off SX 2018. Congratulations to our dear friend Jack Ingram. “Tin Man” has been nominated for a Grammy for Best Country Song! Congratulations (and cheers) to our friends Midland on their TWO well deserved Grammy nominations for the album "Drinkin' Problem", for which the official music video was filmed in part at Arlyn. Check it out! Excited to see the results! Let's go 'Tin Man'! Hey, that studio looks familiar! We love you Steve Earle! Be sure to pick up the new album and don't miss his next Austin appearance at the Paramount Theatre on December 19th. First Austin show in 17 years: Edie Brickell & New Bohemians playing #harveycantmesswithtexas at the Erwin Center. Edie and the NewBos. Honored they are part of our Arlyn family. We gotta do this!! Check it out y'all. Thank you Reckless Kelly!! Gary Clark Jr.: "Come Together"
The Silver Spur Dance Hall ruins watch over the Medina River Valley like the ancient stone walls of a medieval castle. Arlyn Homecoming 2019. March 15 & 16. Doors at 1PM. Lineup & updates on Arlyn Facebook page. #Repost @alonsojlujan with @get_repost ・・・ I recently had the pleasure of DP’ing the first installment of the new How I Wrote This Song series by Rolling Stone, featuring @garyclarkjr, directed by @danjhalperin, interview by @patrickjdoyle thanks to @sharonarte @kyleoz @chasechesnutt @ivan.salazar.noriega and the crew at @arlynstudios for a great shoot! Link in bio. Drop Beats not Bombs please. Other Voices, Ireland’s premier music series, is proud to announce the launch of Other Voices Austin; a three-day music celebration consummating the long distance love affair between Other Voices and the Lone Star State. 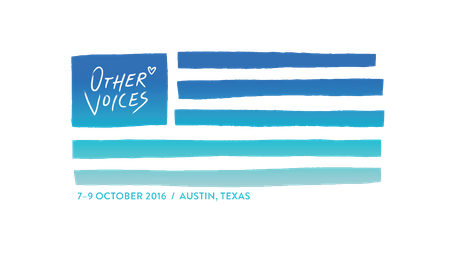 Other Voices Austin will take place at our very own Arlyn Studios October 7-9, 2016. Other Voices Austin will bring together a diverse and star-studded roster of talent from around the globe, capturing an array of intimate performances and exclusive interviews over three days in October. The partnership demonstrates the illustrious histories of both Arlyn and Other Voices. Other Voices has showcased a wide-ranging array of talent, attracting such influential artists as Ellie Goulding, Amy Winehouse, Elbow, The National, Ryan Adams, Damien Rice, Snow Patrol, and more. Some incredible songs have been sung at Arlyn Studios and Other Voices looks forward with great excitement to bringing music from Ireland to Texas and to play, dance and sing with some of the world’s greatest artists. Other Voices hopes its Austin adventure will reap a dividend too for Irish tourism and draw new global attention for the Wild Atlantic Way, with the Other Voices Festival of Dingle being a key ingredient each December. “To head to Austin, Texas has been a life long dream. When we made Bringing It All Back Home 25 years ago we never got west of the Mississippi…I have been dreaming about Texas since. When I think of Texas, I think of music; the blues of Lightnin’ Hopkins, Buddy Holly, Texas Swing, Kitty Wells, Towns Van Zant, Guy Clark and all of it shot through with “A Lone Star State of Mind”. Other Voices has a great affinity with that spirit…. one that is intact in Austin and that lives in the iconic Arlyn Studios, which will be our home this October. It’s a real delight to accept an invitation to Austin from the passionate and wonderful team at Arlyn. We have great empathy with their work and with their achievements. Freddy Fletcher is a hugely significant figure in music and in music television and himself and his partner Graham have put a real welcome on the mat for us." Mr Freddy Fletcher of Arlyn Studios said the coalition of Other Voices with Austin will open a new chapter in the musical encyclopedia. "It is an honor to play a part in bringing such an iconic music series to Austin. Other Voices' rich history complements the vibrant spirit of our city, and we look forward to coming together in our shared passion for music to continue creating meaningful content." We’re beyond thrilled to be hosting this Texas extension of such an iconic festival and look forward to the event in October. Check out more on Other Voices at their website, Twitter, Facebook and YouTube. Some of our favorite Other Voices gems are The National, Shakey Graves, Hozier and hearing Ireland’s own Glen Hansard (The Frames) speak about Other Voices.